If you're tired of running around on the ground or in buildings in Fortnite the Season 7 update is just what you need. 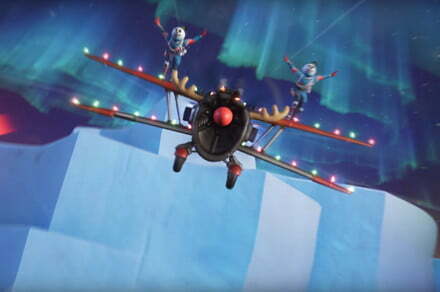 The update is geared toward winter, but that has not stopped Epic Games from offering brand new ways to bring down its opponents. 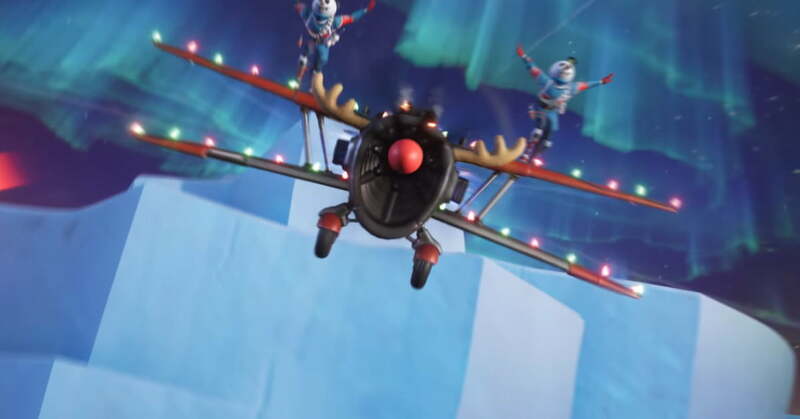 In season 7, the X-4 Stormwing plane is added to the Battle Royale mode. The perfect vehicle for a crew looking for an advantage to end a match. The aircraft accommodates four passengers and one pilot and is equipped with a mounted machine gun to shoot targets. It also has a thrust and air brake, and when in danger, you can jump out of the plane, just like at the beginning of a game. In Battle Royale, you'll find several new location modes, including Frosty Flights, Polar Peak and Happy Hamlet, as well as the new Iceberg biome. The snowy areas are covered with ice over which you can glide. These areas also have ziplines that allow you to move quickly from point to point. You can still use your weapons and items as you move over them, so you will not be a sitting duck. A new tournament – the Explorer Popup Trophy – has been added, giving players more resources to build structures, but one of our most popular additions comes in the Battle Pass: wraps of the 7th season. You can decorate your weapons and vehicles to look as if they were packed in gift wrap. If you've upgraded the new Battle Pass, you can use more. The surprise is somehow ruined, because everyone knows that it is already a weapon or a vehicle. Battle Pass users also get early access to the creative mode that became known yesterday. Small changes have been made to the interface, including the number of vehicles, but mobile players get the biggest boost in Season 7. If you're on a 2018 iPad Pro, you can now play the game at 60 frames per second 4X MSSA anti-aliasing has also been re-enabled for iOS. Galaxy Note 9 and the North American Galaxy S9 Plus should also experience an increase in performance. Fortnite is now available with crossplay support for Xbox One, PlayStation 4, Nintendo Switch, PC, Mac, iOS and Android.